During July of this year, Willmott Partnership Homes held a community event within our central London office. The 5 day programme was delivered to 8 young persons who were looking to start a career in the construction industry. Participants for the event were supplied from a number of key support groups operating across London. These included The Princes Trust, Women in Construction, Department for Work and Pensions, Job Centre Plus, Poplar Harca Community and Training, CITB, Women into Construction and the Construction Youth Trust. 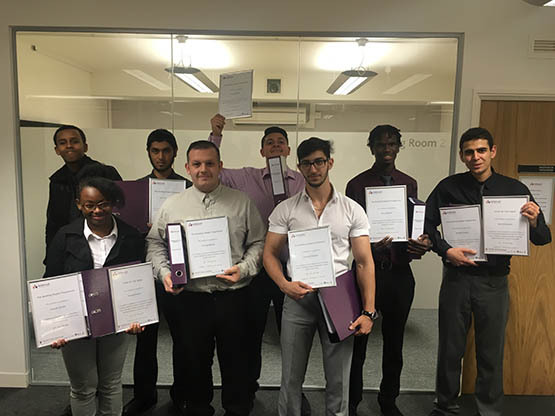 The purpose of the programme was to deliver a number of key life skills to the participants, whilst increasing their knowledge of roles and bettering their prospects within the construction industry. Through training and additional support, the employability of the individuals would be increased and could bridge the gap between wanting a career within the industry and actually achieving it. The programme content included: CV writing, Job Mapping, Presentation Skills, Team work and problem solving exercises, a site visit, producing PDP’s and CSCS revision. Willmott Partnership Homes then arranged for the participants to sit their CSCS tested and undertake two weeks work experience on site within their preferred discipline. All participants have been assigned a mentor from within Willmott Partnership Homes and are continuing to develop their personal development plans. The outcome of this programme was that out of the 8 who attended, 3 are now in full time employment, 4 have returned to college to ascertain the education grades they need and 1 is continuing to undertake work experience until they decided on the right career path for them.